There's a space-like pantsuit that claims it'll deliver slimming results through lymphatic drainage massage. It's called the Ballancer Pro, and it uses patent-pending compression garments that apply a gentle or firm massage. 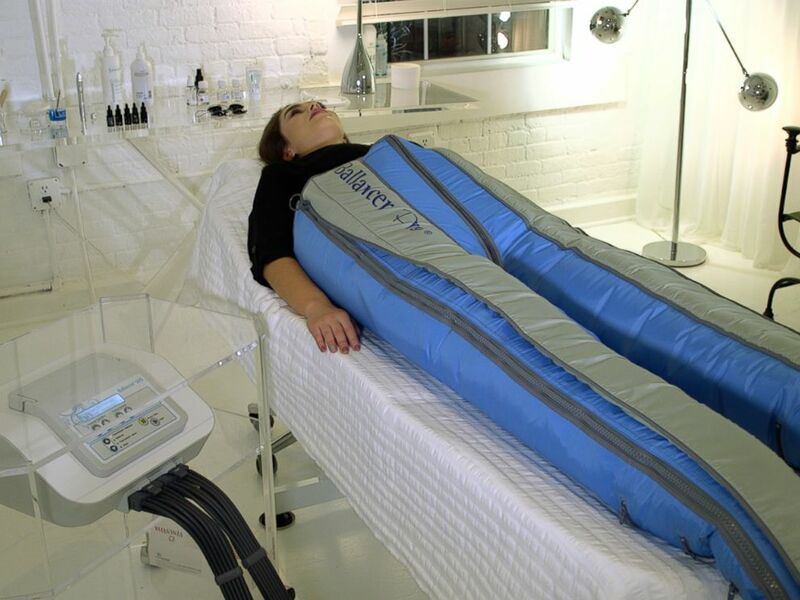 Basically, it's like a giant sleeping bag for the body that the makers say uses compression therapy to allegedly eliminate toxins, slim and tone the body and treat cellulite. The celebrity laser facialist Teresa Tarmey currently offers the treatment at her new skin clinic in New York City. The Ballancer Pro is used by athletes and celebrities. Tarmey told "GMA" that the Ballancer Pro is great for preparing for red carpet events. "The reason being is it's a bodysuit that you would actually climb into and then it would give you a really good lymphatic massage, which is amazing for athletes, anyone who is wanting to get rid of the water retention," Tarmey said. Whether the claims check out or not, celebs have turned to the treatment to get ready for red carpets. Tarmey said she had even transported the suit to events to use on clients while they get their hair and makeup done. The Ballancer Pro uses patent-pending compression garments that apply a gentle or firm massage. "It's a really nice way to get the client really calm, but also see a result and feel a little bit slimmer," she explained. Tarmey said the bodysuit has been used in London for a few months, and she's one of the few people who have it in New York. Tarmey recommends a course of treatments to see the best results. 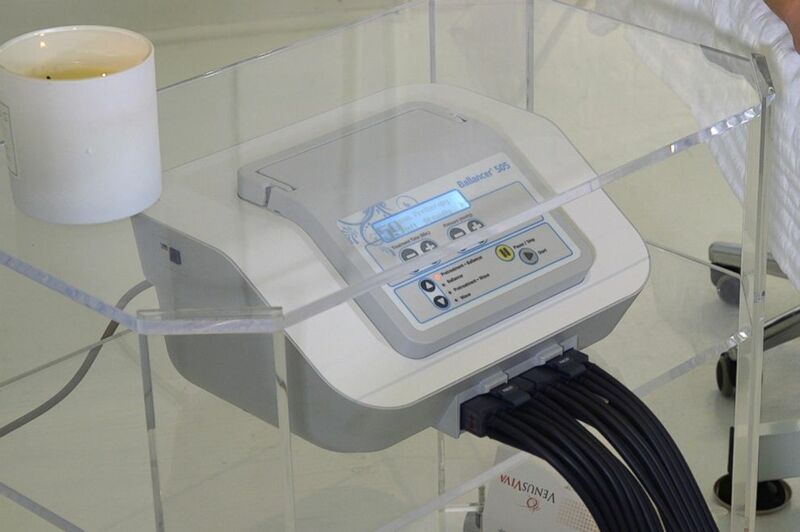 The Ballancer Pro is like a giant sleeping bag for the body that the makers say uses compression therapy to eliminate toxins, slim and tone the body and treat cellulite. Here's what happened after one trial. The bodysuit was like getting a very strong hug. The suit inflates and deflates rhythmically with what felt like varying pressure throughout the whole session. The process felt really quick and took about 45 minutes in total. There was no pain and it was a relaxing process. It's worth the splurge if a person wants to use it again before an event or a special occasion. The price is $250 per treatment.